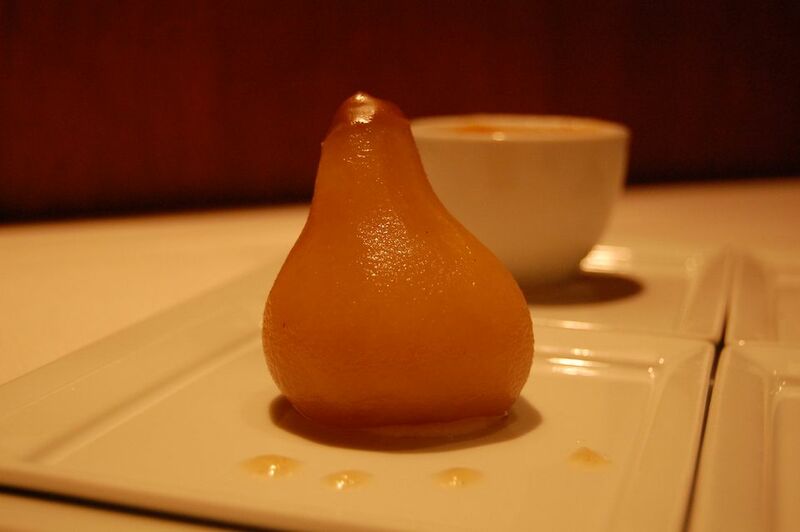 In this recipe,​ Asian pears are filled with honey and Chinese dates and gently steamed. If Asian pears are unavailable, Bartlett pears can be used instead. Chinese red dates are also known as jujubes (strictly speaking, they are not a date at all). Their sweet flavor makes them a popular ingredient in Chinese dessert soups and congees, and in steamed foods. If unavailable, regular dates or raisins can be used instead. Of course, you can also leave them out altogether and simply steam the pears with honey. Spoon 2 teaspoons honey into each pear. Add 1 Chinese date. Place the top back on the pear. Brush the lemon juice over the skin of the pear if using.